Steelway International is proud to offer our customers assistance in installing our products or contracting us to erect them instead. ​​ Steelway creates a unique FUB for each product, which describes all connections and details for your field employees. ​Erection videos have been provided below for general installation of LGS trusses, lateral bracing to metal trusses, and various connectors to LGST. If your labor pool is stretched or you are not wanting to erect them yourself, contact Steelway today about our in-house erection services. This video will assist your field guys in seeing how LGS trusses are erected. 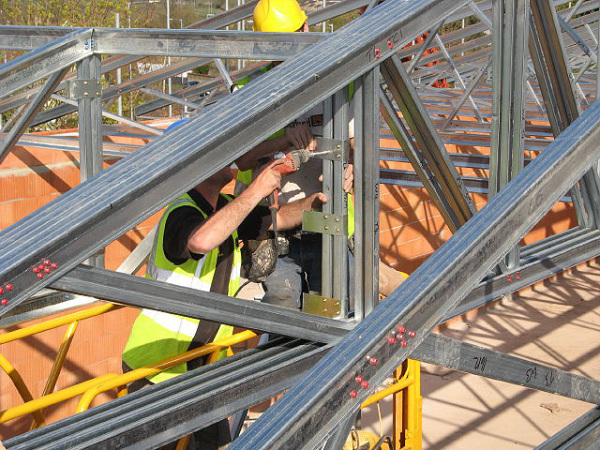 This video shows how to install the lateral bracing material for your LGS trusses. This video shows some ways to connect your LGS trusses to each other.